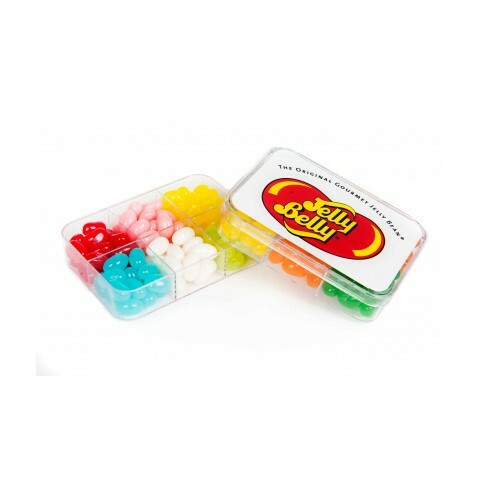 Kings and queen of the jelly bean world, promotional Jelly Belly sweets are the official product stashed into your choice of packaging, ensuring quality sweets with your personalised design. 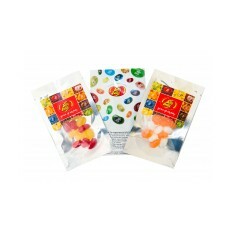 Having been in business since 1869, Jelly Belly know a thing or two when it comes down to jelly beans. These jelly beans have over 50 different flavours to choose from all of which come with corresponding colours, making them perfect for tying into your brand colours. You can ensure that your customers will get branded jelly beans packed full with flavour from a brand they are familiar with from all of our personalised Jelly Belly sweet range. Hand them out to potential clients at next events, send them as small sweet treat thank you’s. 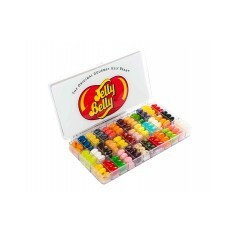 Truly get to taste a rainbow of colours with our personalised Jelly Belly Tasting Box - Large.This huge display box contains 36 different kinds of jelly beans, which you can pick from the official 50 flavours! Branded to the top with your design to keep your company on show and perfect for stashing odd bits and bobs around the office afterwards, this is the ultimate office gift for your best clients. 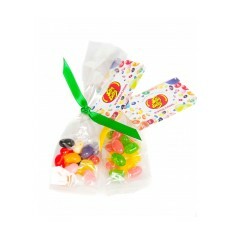 Alternatively, if you’re looking for something a little more personal, our Jelly Belly Flow Wrapped Bag again with your choice from 50 different flavours, these individual bags are each tied with a ribbon for that premium touch. Curious about which flavours you would pick? Give our sales team a call and we can send over a list of flavours and even arrange samples for you to try them out yourself! Official Jelly Belly product. Suitable for most diets. Printed full colour. Dome resin finish. Official Jelly Belly's. 50 flavour choices. Suitable for vegetarians. Branded full colour. Official Jelly Belly product. 50 flavour choices. 36 slots. Suitable for most diets. Official Jelly Belly product. 50 different flavours. 20g. Coloured ribbon.